Japan was a long overdue vacation and proceeded wonderfully from start to finish. our flight on Japan Airlines was a fantastic kickoff – a revelation in economy class that put every other airline i've flown on to shame. 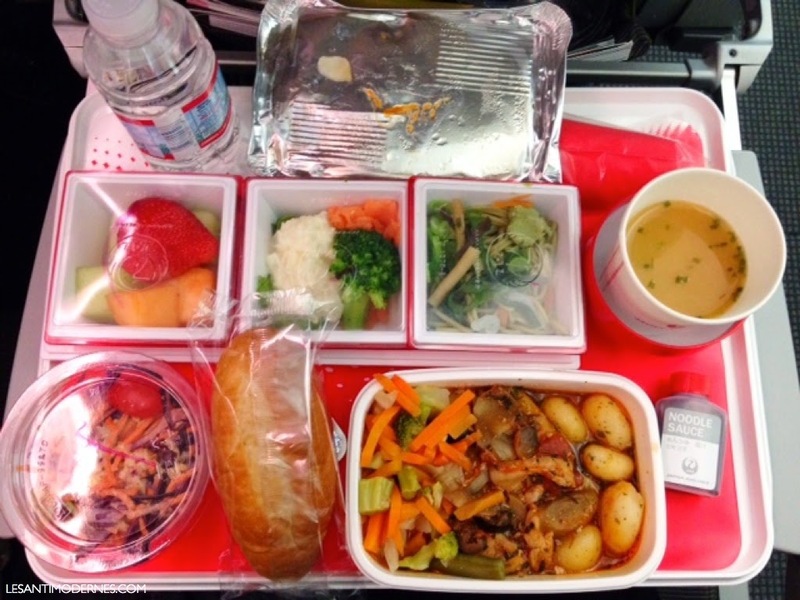 when you're traveling, more than anything it's the small things – stainless steel cutlery with your inflight dinner, a sweet flight attendant with a sense of humor, a tiny bottle labeled 'Noodle Sauce' – that make all the difference. 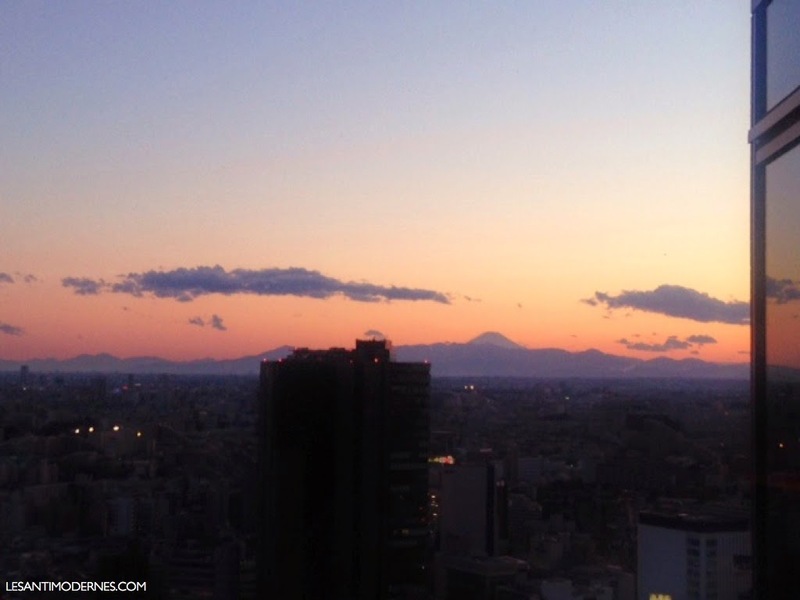 we stayed at the Cerulean Tower in Shibuya, and at check-in the staff gave us a surprise upgrade to a corner room with breathtaking panoramic views of the city and Mt. Fuji. i must have spent nearly an hour just gazing out the window that afternoon. catching a glimpse of the sunset over Mt. Fuji felt like a precious gift. and it was. even though the days after were sunny, we didn't see it again for the rest of our stay. i really loved the Cerulean. service was courteous and efficient, and our room was spacious, clean, and luxurious without being too much. 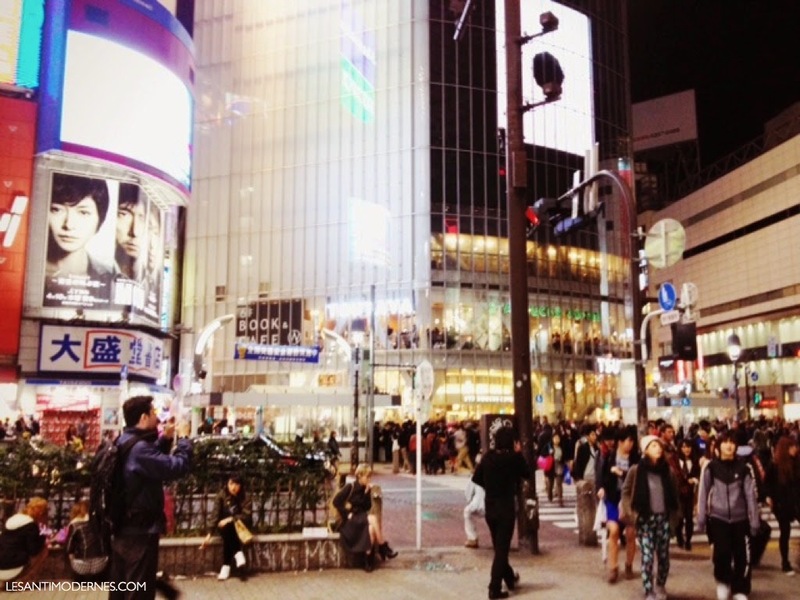 the hotel is a short five-minute walk to the bustling metro station and Shibuya crossing/shopping arcades, but you're also just a short stroll away from lovely little side streets and smaller shops and restaurants. the hotel also did a fantastic continental breakfast buffet. thanks to jetlag, i became a morning person and happily indulged in a leisurely breakfast (hello perfectly crisp bacon, waffles, artisanal salad and fresh fruit bar!) before we set out on our sightseeing for the day. funny how quickly new rituals spring up when you're traveling. the most striking thing about Tokyo for me was how quiet and calm the city felt in spite of the crowds and sprawling boulevards. it's also entirely possible to walk around the city with an absent-minded sort of wanderlust; the cars are remarkably friendly and patient with pedestrians in the major intersections and winding alleys. as a New Yorker, this came as such a pleasant surprise. anyone who has visited or lived in NYC knows the unavoidable cacophony of midday traffic, cranky delivery truck drivers double parked on 9th Ave, the rhythmic din of artful subway performers and street hustlers. Tokyo, by contrast, felt refreshingly zen even in the most bustling parts of Shibuya (the one exception being Roppongi, which looked and felt like Times Square on speed). 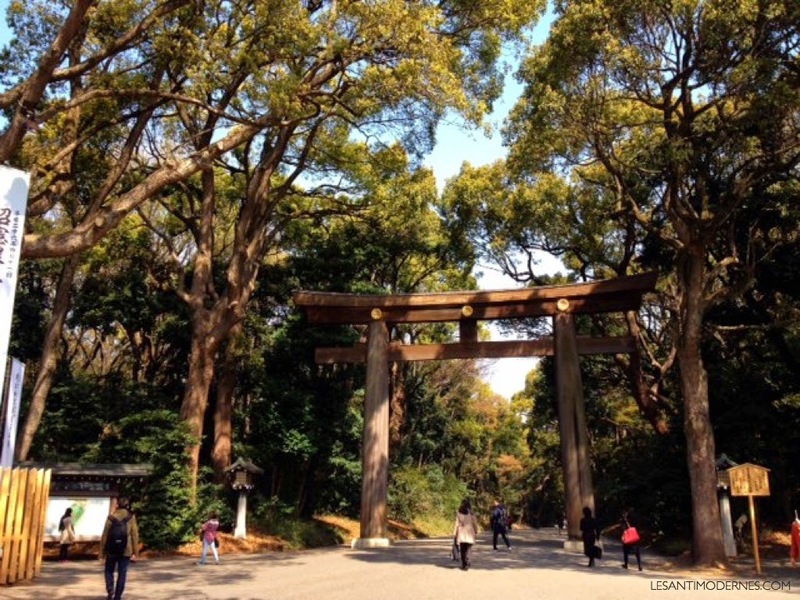 i especially loved walking through the boutique and cafe-lined canal streets in Nakameguro and breathing in the peaceful greenery of Meiji Jingu and Yoyogi Park. while we didn't do much actual shopping due to the steep markups, it was a treat to stroll from Harajuku down to Omotesando Hills, taking in all of the conceptual elegance of Aoyama. the very gourmet 7-11s and Family Marts. also: green tea Kit-Kats! Lovely post! I just found green tea Kit Kats at the Japanese mart by my apartment. I'm so excited to finally try them! Your in light dinner looks delicious! 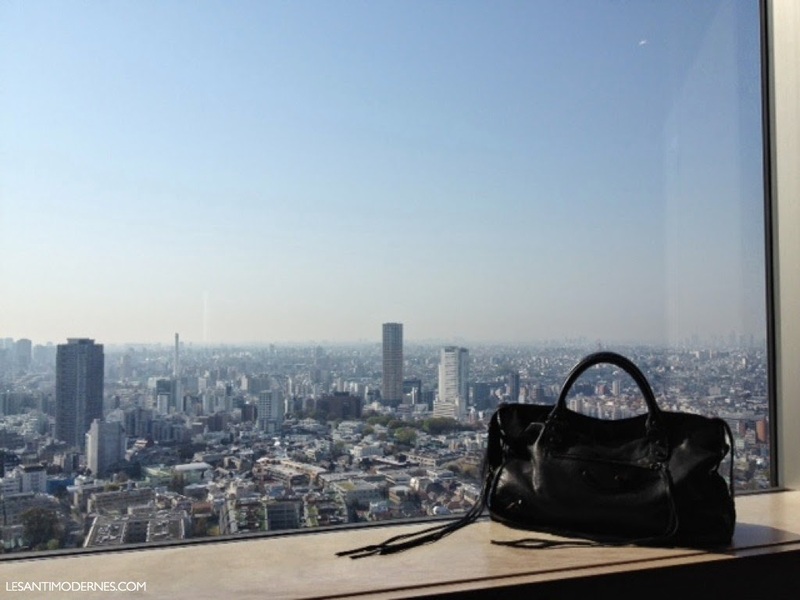 I totally agree with you about appreciating the small things especially on long haul travel. I'm so glad you had such a great time. Ooh, was waiting for this. I've never been to Japan and your Instagram feed made me dream. I'm intrigued by your description of Tokyo - I guess we're usually shown pictures of its most dazzling, kinetic sides. Everything sounds wonderful. Haven't been to Japan in too long! so lovely! it's been years since i've been to japan, but i'm hoping to go back sometime in the near future. i'm glad you're sharing the details of your trip. What a thrilling report! It makes me want to hop on a plane (Japan Airline of course!) and visit Tokyo! Your impressions of a quiet/zen city life feels so appealing and I'd love to experience these urban yet cool spots. Paris and NY are very similar when it comes to the hustle and bustle. I'm glad you enjoyed your trip! Green Tea Kit Kats might be on the short list of contenders for 8th wonder of the world.